Kolkata, Nov 16: With just one and a half months remaining for India's tour of South Africa, skipper Virat Kohli on Wednesday said his charges want to be ready for any challenge anywhere and for that stay eager to play in difficult conditions. 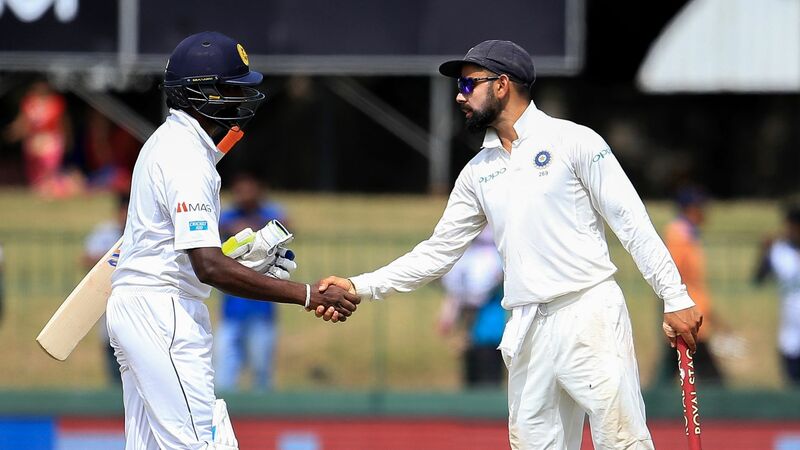 India have been playing at home for quite some time since touring Sri Lanka where they whitewashed the hosts 9-0 across all formats. The Sri Lankans are now in India, with the three-match Test series starting on Thursday here. Asked about the Eden Gardens wicket which has a fair amount of grass on it, Kohli said they don't wait for conditions to play in their favour but develop their game for different kind of conditions. "We want to build our games in a way that we look forward to playing anywhere in the world. We just want to play good cricket. We don't wait for conditions that might suit us and our games. We want to rather develop our games for different kind of conditions," Kohli told reporters. "If you want to be the top side in the world you have to win anywhere. Now we have gone through a good phase where lot of cricket has been played at home. If we had gone through a period where we had to play away, we would have maintained the same intensity and had the same mindset. We believe in ourselves as a team. On Indian conditions you cannot relax, you still have to work hard. "The mindset of winning is very important. From that you look forward to playing in difficult conditions and work on your game. I think once you embrace playing in difficult conditions, that will be the difference. You want to embrace being uncomfortable and that is the most important thing," Kohli said. Asked about aiming for becoming the top-ranked team across formats, Kohli said although the target is realistic, it is not easy to aim for such things as teams these days play different formats throughout the year. "Anything is possible. I don't think you can aim for those things. You change formats so much that you can't... for example, if someone does well in ODIs while we are playing Test matches, they take the No.1 spot. So you can't get attached to it," he said. "I have said this before, there is so much cricket played around the world, you go down your ranking people say 'the team has been dethroned' but you have to understand the team is not playing all the time," the right-handed batsman added. "If you have a week off and you are not playing, another team is playing and they take over, that's a natural thing to happen. It's very exciting for people to talk about it. We are joint No.1 in Tests and ODIs. "People are fantasising about it more than the players. We only focus on wanting to do well and winning situations and scenarios. We put small targets in front of us. "Everything is possible, if everything falls into place any team can achieve that at one given point of time. I doubt that will stay for long as the transition between teams playing at different time of the year. It is realistic." On his side's three openers -- Shikhar Dhawan, Lokesh Rahul and fit-again Murali Vijay -- always vying for the two slots, Kohli said it is difficult to choose among the trio as they are all very good. "That situation has always been there. The balance has swung every now and then between two guys doing well and one guy missing out. It happened KL initially then in between with Shikhar. And then now that Shikhar and KL have been playing well... it's very difficult to pick two out of three when all three are so good," he said.